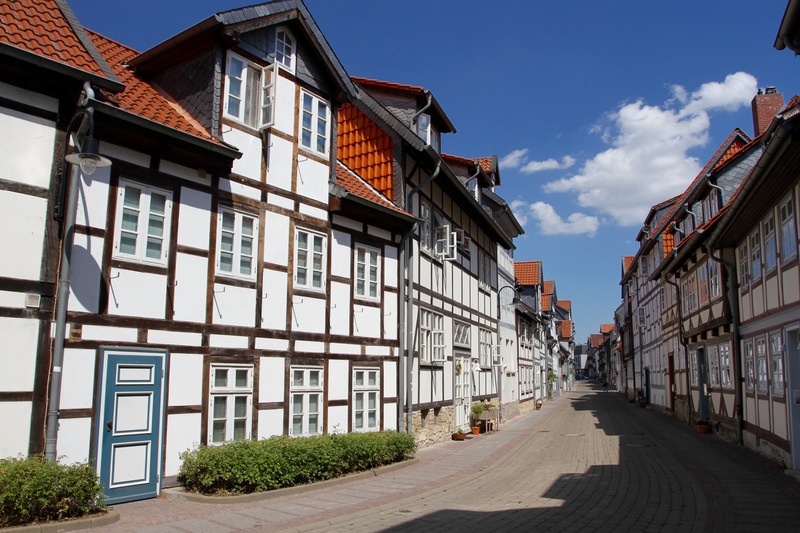 Despite a long and grand history, and a wealth of ancient buildings, Wolfenbüttel is an unassuming sort of place. 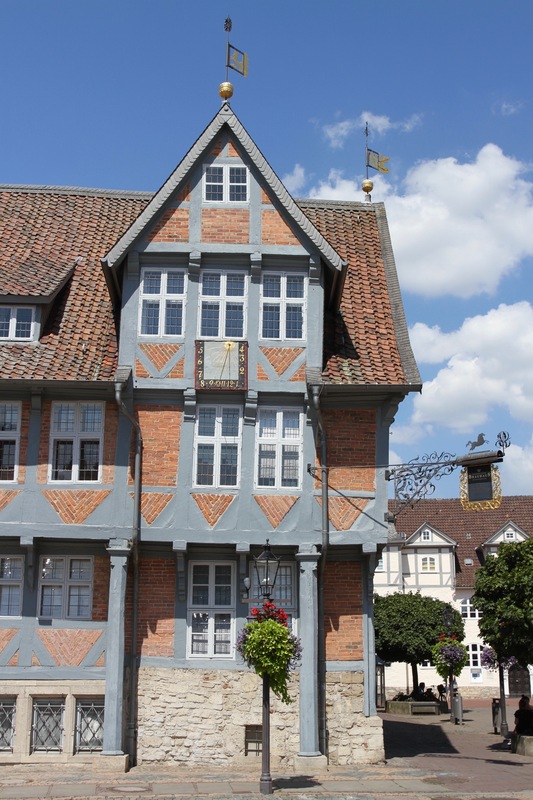 Yet, amidst an old town that still contains over six hundred timber-framed buildings, there are even grander sights that make a visit here truly worthwhile. 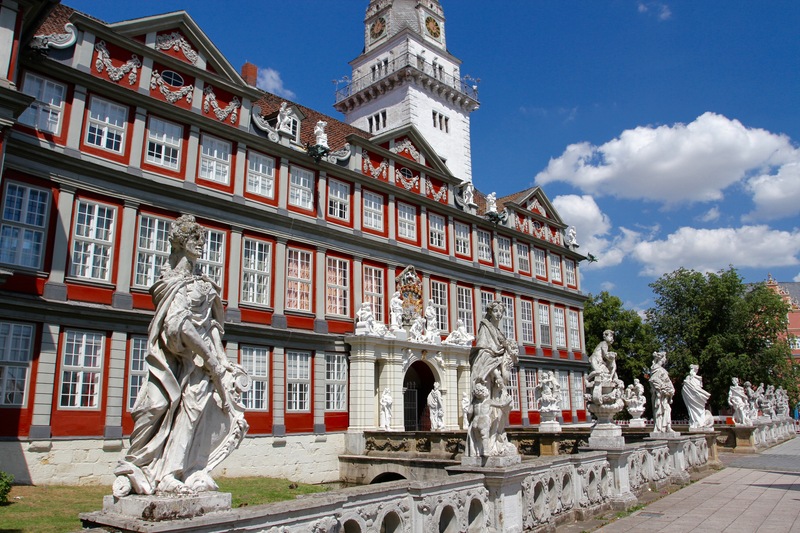 The most dramatic is Wolfenbüttel Palace, a Baroque masterpiece that served as the residence of the Dukes of Brunswick for over 400 years. I could barely believe my eyes, it was as if a highly decorated wedding cake had dropped from the sky. As I waked over a small bridge and through the ornate entrance I was keeping good company. King George I of Great Britain, Frederick the Great of Prussia, and Peter the Great of Russia were just some of the aristocratic luminaries to have visited before me. 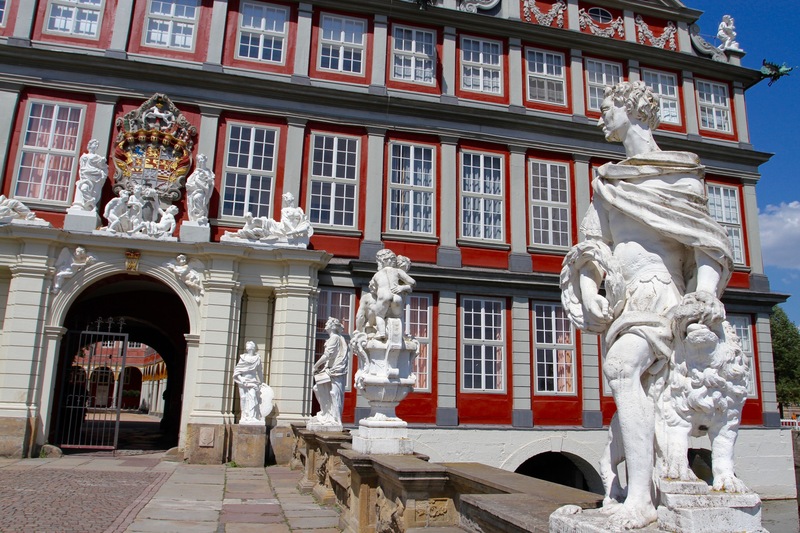 Even more importantly, between the Thirty Years’ War and the Second World War, the building has suffered almost no war damage. Given the serious fighting that took place in this region in 1945, that is just short of miraculous. There’s a good museum inside. 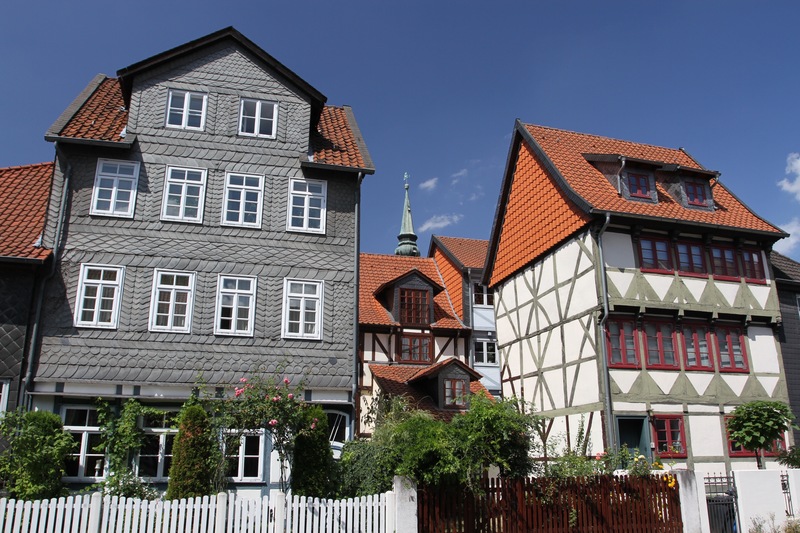 I only came to Wolfenbüttel as a way of breaking the journey between The Hague and Berlin during our relocation to the German capital. I’d read that it was a historic place, but had no idea the town was this beautiful or that this was its 900th anniversary. My first impression wasn’t so great though. Thanks to a dodgy satnav, I ended up parking next to the prison. 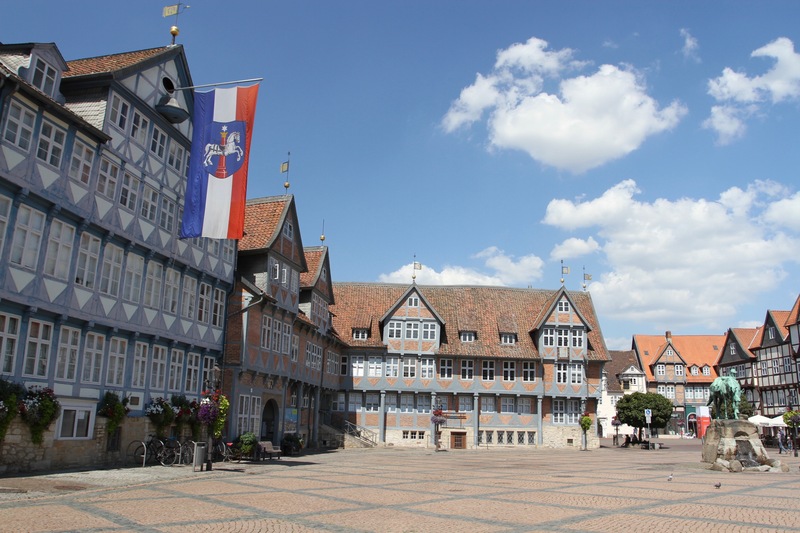 I later discovered that Wolfenbüttel was a Nazi stronghold in the 1930s and the Gestapo executed hundreds of political prisoners in the prison. 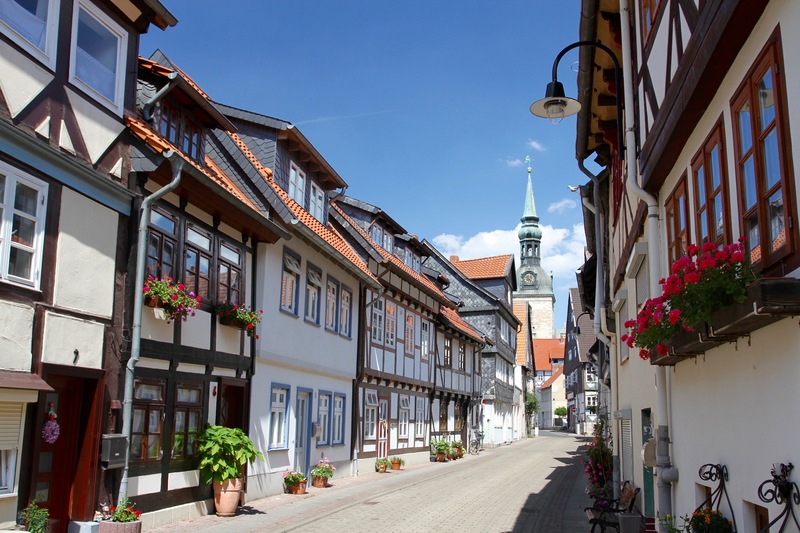 I made my way to the historic centre past a lot of timber-framed buildings and a couple of historic churches. 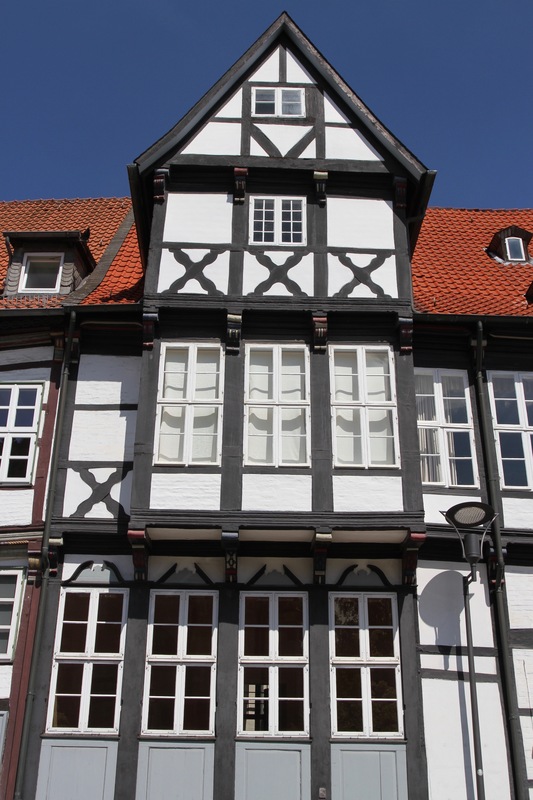 I found the tourist office in Wolfenbüttel’s lovely Stadtmarkt. 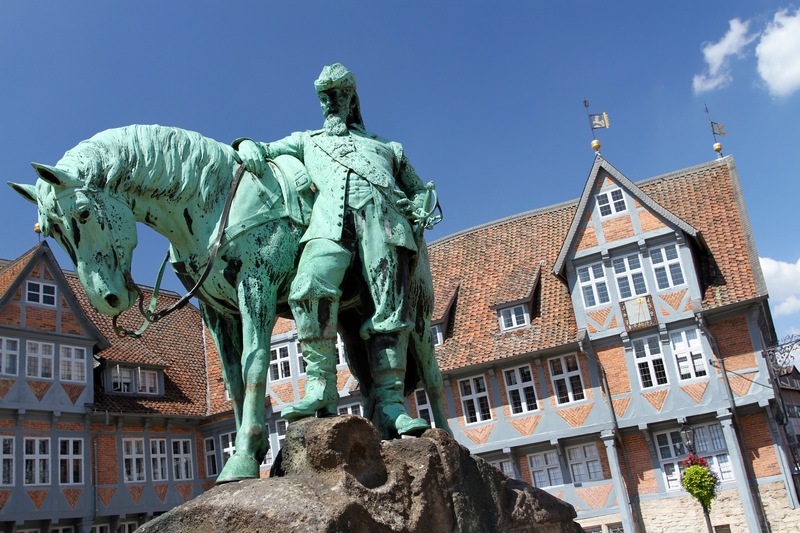 The square is home to a statue of Duke Augustus II, one of the town’s most famous rulers, and the man who created the second most wondrous sight in Wolfenbüttel, the Herzog Augustus Library. With over a million titles today, a third of which date from between the 12th and 18th centuries, at the time of his death the collection had 134,000 books and manuscripts. 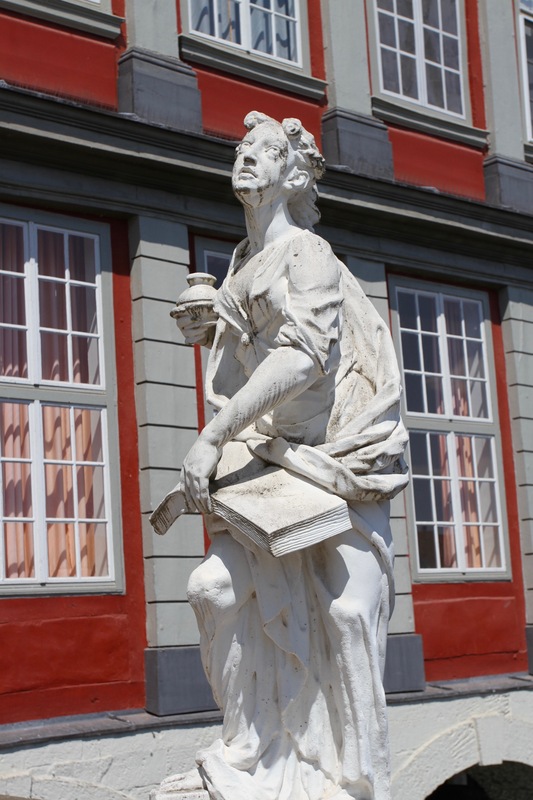 It’s at the library in 1764, that one of the great figures in European history enters the scene. A man known more for his amorous entanglements, Casanova was primarily a man of letters. This was one of the great European libraries and he spent several days here researching his translation of Homer’s Iliad. The tourist literature was silent on whether he had been involved in any assignations. The library is home to one of the rarest (and most valuable) books on earth, the Gospels of Henry the Lion. It might sound like a children’s book, but it cost over €9 million at auction in 1983. The library’s famous associations don’t end there. The philosopher Gottfried Wilhelm Leibniz and the dramatist Gotthold Ephraim Lessing were both librarians here during their lifetimes. Not bad for a small town, and given all this I’m genuinely surprised that there were so few people on the streets, and few signs of other tourists. I figured they were all at the one place that has put Wolfenbüttel on the map in recent years. The one place I wouldn’t venture. 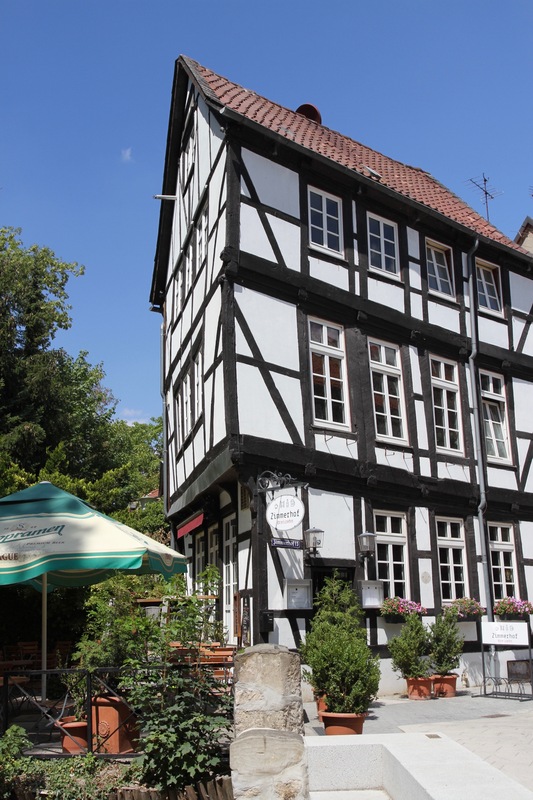 For this, surprisingly, is the home of Jägermeister. Having once been ‘forced’ to drink Jägermeister by a ‘friend’ who claimed it to be the elixir of life, I can confirm that it is in fact like drinking a liquid herb salad mixed with poison. 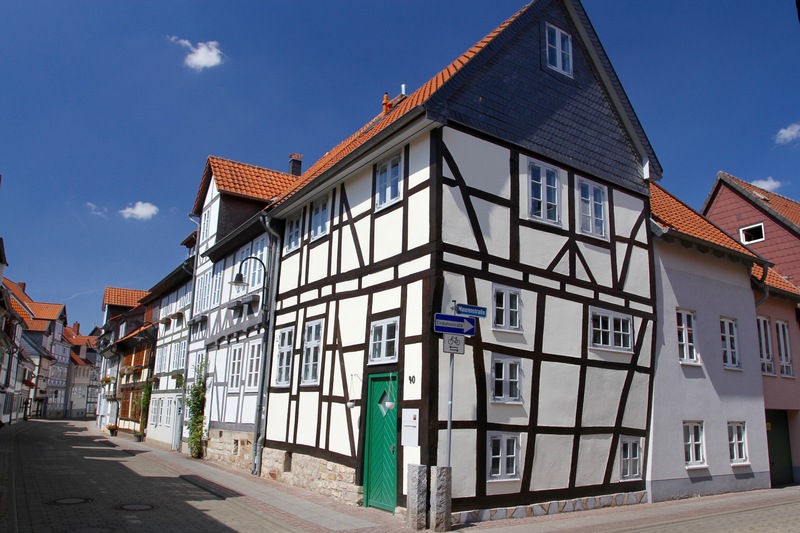 It was invented here in Wolfenbüttel in 1934, presumably as a way of cleaning the drains. Against the odds it was a hit with the German public. The sickly concoction of 56 botanical ingredients is still made here, only today it has a global audience. A fact I find almost impossible to comprehend. You can take a tour of the factory. I didn’t. Wow, what a post! Accompanying photographs are simply breathtaking. I have lived for seven years in Germany during my student days way back in the 1950’s but sadly have missed out on this beauty. It really is a beauty, probably not very different in the 1950s I’d imagine! I love the architecture. What a lovely town! I truly didn’t expect it to be so beautiful, not to mention the history. I thought I knew Germany reasonably well but I must admit Wolfenbüttel had passed me by too. I see what you mean about a wedding cake. It looks fabulous if demented. Oh, and I’m with you on Jägermeister. It’s up there with stuff like Chartreuse in the “Who though this was a good idea? Why?” list for me. I was once given it by well-meaning family friends as a cure for travel sickness! I preferred the travel sickness. They guard the Jägermeister recipe very closely, but I reckon it’s just boiled up twigs and nettles. Mind you, I once made the mistake of ordering Fernet Branca after reading a ‘comedy’ called Cooking with Fernet Branca. It was far worse. I have to start learning from my mistakes. I lived near the monastery that produced Chartreuse for some while and I’m pretty sure that the reason they kept making it was because they were a silent order so no one was going to say anything! All equally horrible drinks! Thank you. it was a lovely town, took me totally by surprise.